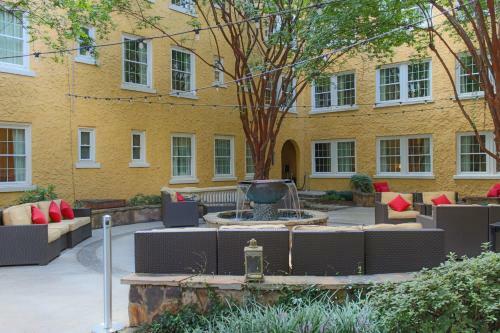 Description This Atlanta, Georgia hotel has a swimming pool, non-smoking guest rooms and an on-site restaurant. This hotel is also pet friendly. 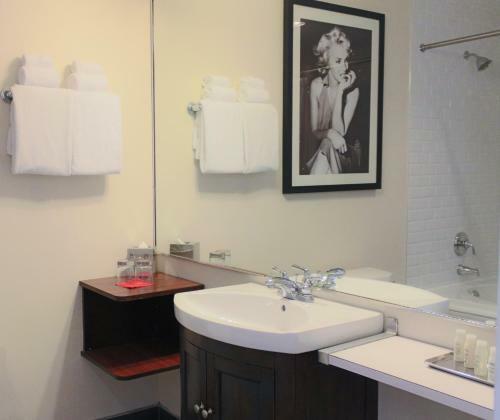 A hip boutique hotel in a vibrant downtown neighborhood the non-smoking pet-friendly Artmore Hotel features modern amenities a stylish bar and a warm ambiance that will put both business and leisure guests at ease. Housed in a restored 1924 building the Artmore features a lobby area designed in black and white with bold pops of red. 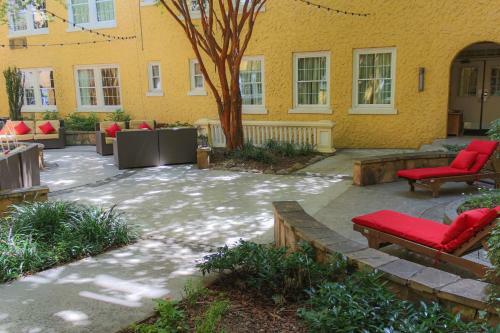 Guests can take a seat at the large winding bar or relax around the fire pit in the Mediterranean-style courtyard. 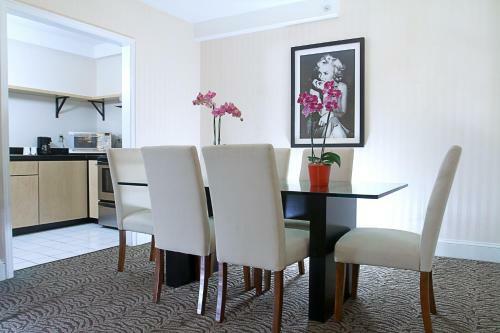 The hotel also contains a cafe a business center and a 24-hour fitness room. 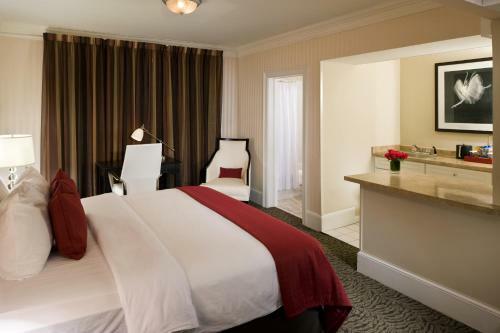 More than 100 completely refurbished rooms and suites are designed in warm tones of brown red and cream and feature free Wi-Fi access 37-inch flat-panel LCD TVs upgraded bedding mini-fridges and workstations with enhanced lighting features. Pets are welcome for an additional fee. 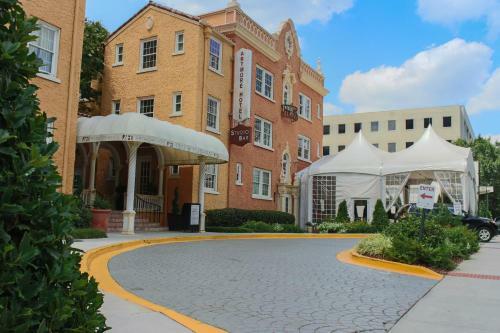 Valet parking is available for an additional fee. 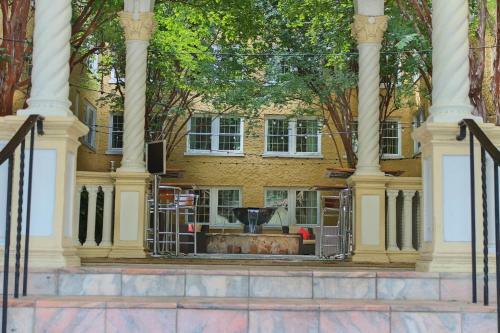 The Artmore is located on West Peachtree Street in the middle of Atlanta's Cultural Arts District. 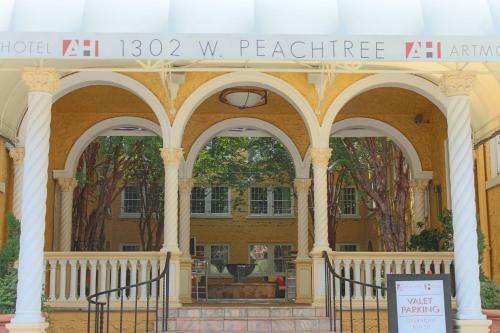 The hotel is across the street from a MARTA station and within walking distance of High Museum Alliance Theater and Atlanta Symphony Orchestra. 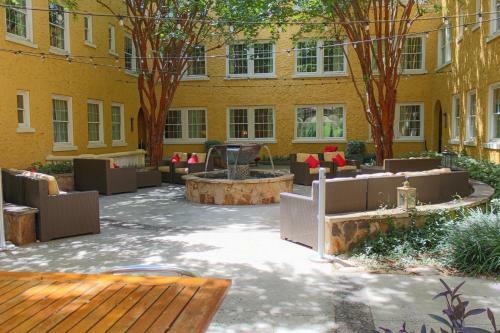 The hotel is 14 miles from Hartsfield Jackson International Airport. 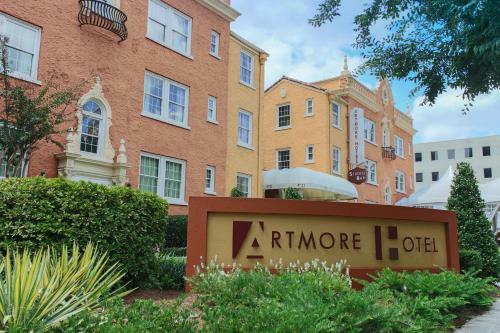 Add Artmore Hotel to your free online travel itinerary.